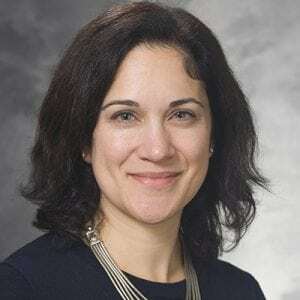 Laurie Silverberg, PhD, joined the Department of Surgery in 2016 as the Administrative Director of WiSOR, where she is responsible for program development, research growth, and general program administration. Before coming to WiSOR, she served as the Officer for Research Funding and Ethics at the Berlin Social Science Center, where she developed one of Germany’s first Research Ethics Commissions for Social Science research. She also served for nearly five years as the Associate Director of the UW-Madison Center for Jewish Studies.